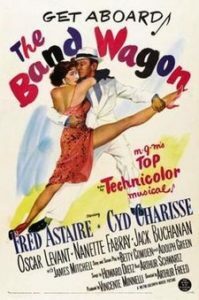 Episode 27: The Band Wagon - A Reel Education: The Musical! Jazz Hams, this week’s episode features a pairing that is sure to delight: Fred Astaire and Cyd Charisse! 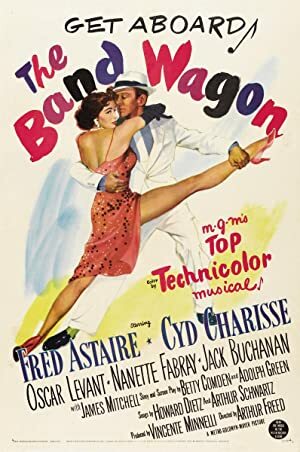 THE BAND WAGON is a light, frothy delight featuring iconic and influential dances created by Michael Kidd. Neither Vinnie nor Mike had seen it before, but Windy was downright giddy at getting to revisit this gem. Meta as all hell, THE BAND WAGON tells the story of an aging song-and-dance man (Fred Astaire) who wants to revitalize his career by doing a show. He gets paired with a ballet dancer (Cyd Charisse) and the two have concerns about the age difference and their differing dance styles. But the real fun comes when Jeffrey Cordova (Jack Buchanan) agrees to helm the show and decides it is clearly a modern retelling of Faust! Hilarity and shenanigans ensue – along with dances that have cemented this film’s place in cinema history (“Dancing in the Dark” and “Girl Hunt Ballet”). 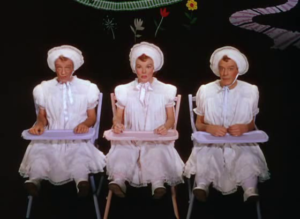 Vincente Minnelli – the man who loves color – directs, and the sets and costumes are eye popping. But the real star is the amazing amount of talent from our leading players. If you’ve never seen it, you’re in for a treat! Plot: A pretentiously artistic director is hired for a new Broadway musical and changes it beyond recognition.